You pick the destination and date: we provide the seamless service. Enjoy a seamless and stress free service and use helicopter charter to travel around the UK and near Europe – cities such as Paris and Bruges are only 90 minutes from central London. Helicopter charter provides point to point travel with an itinerary that suits your schedule and not a departure board or timetable. You will arrive on time, refreshed and ready to make the most of your engagement. You can be picked up from any location a helicopter can land – be it at the office or your garden. Helicopter charter provides the solution for problem free travelling. Feel refreshed and ready to enjoy your day ahead instead of being stressed from your journey. Using a helicopter charter you will arrive at your destination quicker than using road and rail, saving you time to concentrate on your day ahead, as well as escaping the stress of road and rail. Select from an extensive fleet and backed by a team of dedicated and experienced professionals who will provide you with all the assistance you need to make the journey a success. From picking the departure point to providing transport, and if needed accommodation, upon arrival. There is also a high level of flexibility in our service and we can re-arrange travel plans should the need arise. Transport to or from the take-off and landing sites will be arranged for you, should this be required, so there is no need to worry about parking or finding a taxi. Relax safe in the knowledge that your pilot and aircraft will be immaculately presented in a professional manner, with pilots especially attuned to the needs of you, your clients and guests. With the small details and travel arrangements taken care of, you can concentrate on your day ahead, having already made a great first impression by using a helicopter charter. Experience exceptionally high quality, customer-focused service, with all the little details that matter to you taken care of, whether your helicopter charter is for pleasure or business. You may wish to enhance the memorable experience of your helicopter charter further by requesting a special hamper to share en route. The ever-increasing helicopter charter market has shown just how popular, effective and efficient travelling by helicopter is for people who need to travel around the UK and the near continent. 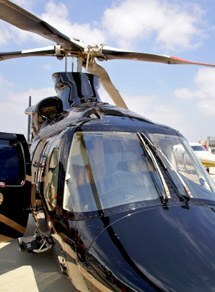 Please call our team on 01256 635000 to discuss your helicopter charter and solve your transport problems with one call.